Half way through school today we had a visitor.. Sister LOVES ‘kitty’ soo ran over to the door.. then Taco followed by Brother. 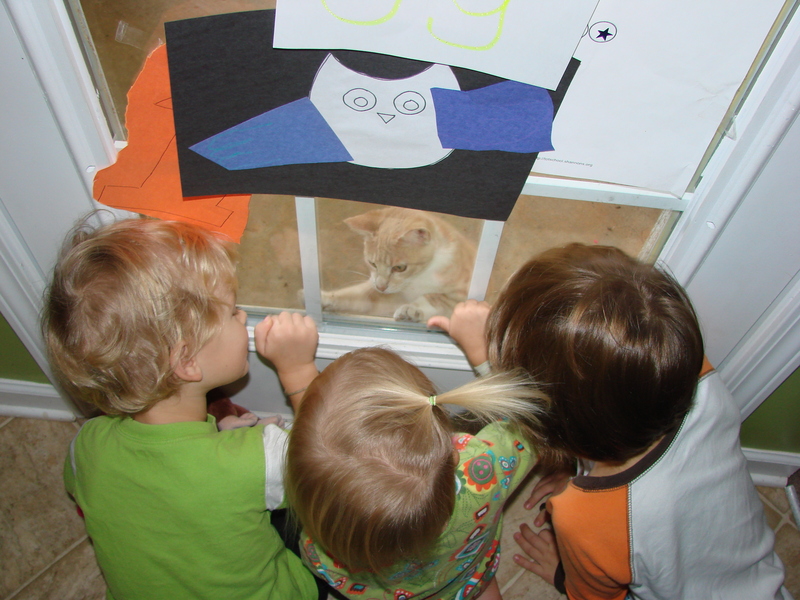 They sat playing and talking to the kitty for 5 mins at least! Love seeing them together and having fun!! (And isnt that ponytail soo stinkin cute.. and those toes!?!?!) OOH! 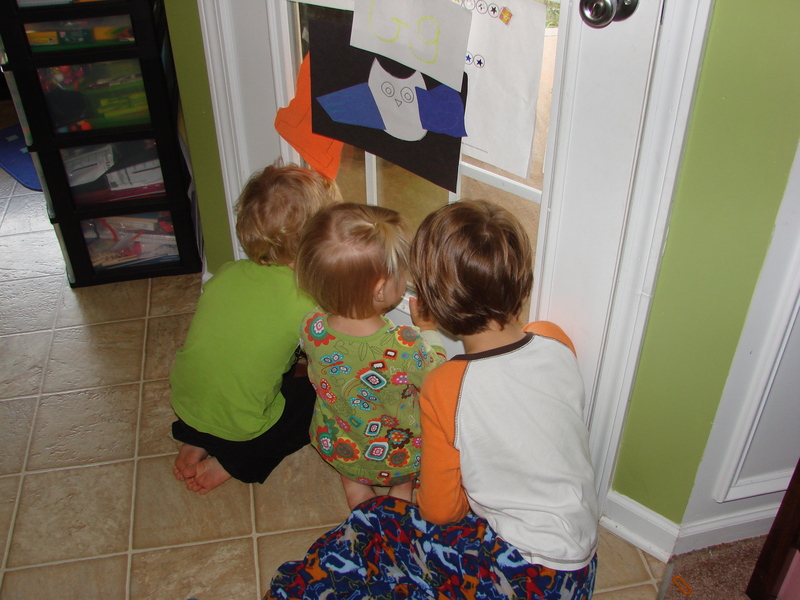 This entry was posted in Photos, wordless wednesday and tagged school, siblings, visitor. Bookmark the permalink.